Oh wow, its the cow! 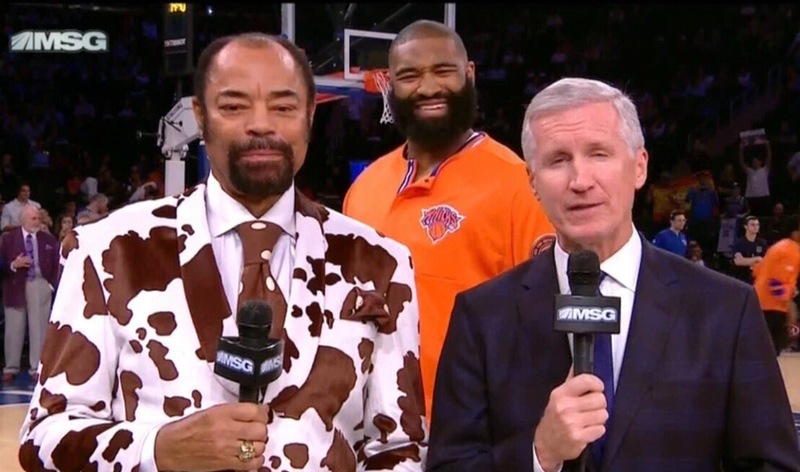 Clyde is moo-ving and grooving even though the Knicks are better off losing! Bonus points for the matching cow pants and python shoes not shown on TV. I’d like to thank all of my followers for another great season! I have some of the best fans in the world and it’s been a pleasure compiling Clyde’s styling and profilings for all of you. A special thank you to my very pregnant wife, Mrs. So Fly who allows me to stop everything we’re doing to analyze these fly ensembles. This season was an egregious blunder (standard), but I hope The Living Legend’s fly style helped ease the pain a little. I will be back next season and I’ll make sure to keep you updated with all of Clyde’s offseason flyness.